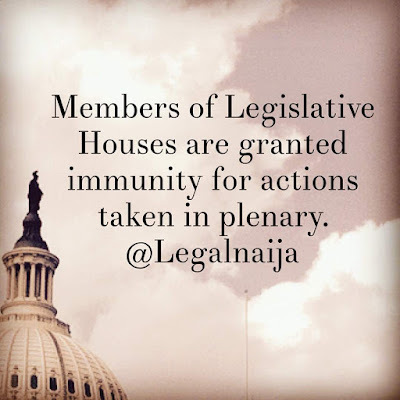 Legislative Houses (Power and Privileges), Act 2018 grants members of Legislative Houses in the National Assembly and State Houses of Assembly immunity from litigation for actions taken in plenary or committee proceedings of the House or committee. The law is meant to strengthen the power of the legislators to carry out their legislative functions. The powers include powers to summon any person to appear before her, give evidence, including power of an officer of the legislative House to arrest any person who commits an offence against the Act.